This was the week of Oracle Open World. A huge Oracle customer and partner gathering in San Francisco, with of course many new announcements. There were 2 Larry keynotes, one focusing on OCI and the other on the Oracle Applications business. Larry made it very clear that OCI (The Oracle Cloud Infrastructure) is a NEW / NEXT generation cloud platform. Running a multi-tenant cloud operation has traditionally always been done by using server virtualization and this is mainly how AWS, Azure and Google work today. OCI is managing it’s multi-tenant cloud by off-box virtualization, doing it in the network. This provides many security advantages, but also huge performance gains. Normally what is new is expensive, but Larry clearly also wants to be very price competitive with OCI. As part of that strategy, the Oracle Cloud is first to offer the very cost efficient AMD Epyc-processors. This hardware is made available both as Virtual Machines as Baremetal Servers. An AMD 1 Processor VM with 8GB of ram costs $0.03 per hour = $21.6 per month (30 days). One important thing to remember, this is price per OCPU, which is one processor with Hyper-threading turned on (=2 threads). This is equal to 2 vCPU for instance from AWS. So how does this compare? All prices are based on PAYG, so with no discounts based on commitment. 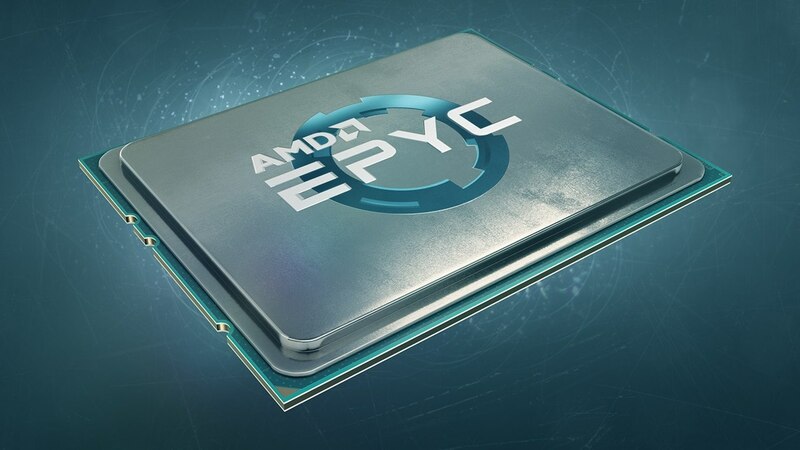 The great this about this new AMD Epyc processor is not only it’s price, but also it’s performance. There are already some benchmarks and more benchmarks online that show the power of these processors.